In the first half of the 20th century several members of my family worked for various railroad companys in North Eastern. 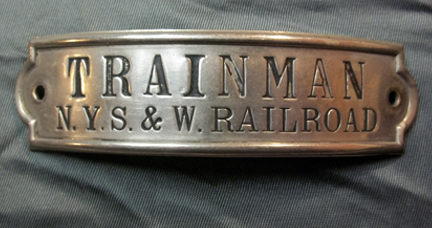 These railroads included the Pennsylvania Railroad, Lackawanna Railroad, and the New York, Susquehanna and Western Railroad. This gallery contains photos, passed down through the years to me, of these men and is dedicated to their memory. 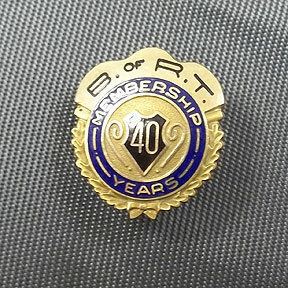 From info on back of photo, the legs behind the locomotive belong to Irv Ace. My Grandparents lived in West Fairview their entire life, raising my dad, his 2 brothers and sister there. 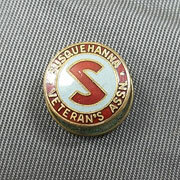 This photo is from the 1930’s or 1940’s. 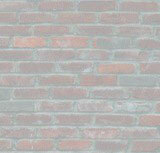 Samuel was my Great Grandfather. 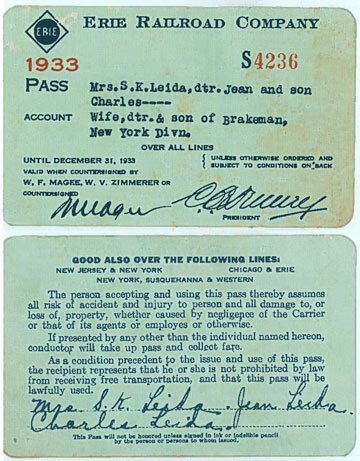 He was born in New Jersey in 1893 and eventually ended up living in Stroudsburg, Pennsylvania. Over his career for the railroad he held many positions at the New York, Susquehanna and Western Railroad (NYS&W RR), more comonly known as "The Susquehanna". 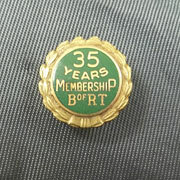 Below are some old photos of him and railroad artifacts from his days on the railroad. 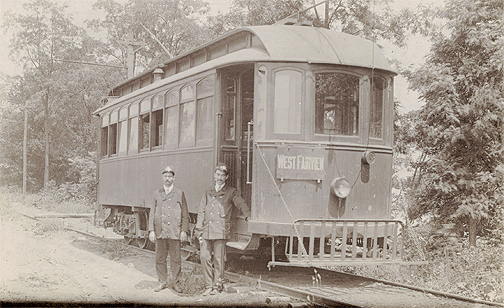 This photo of Samuel was taken in Edgewater, NJ at the NYS&W Yard. 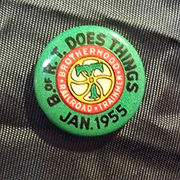 NYS&W Button from Samuel's Conductor Uniform. 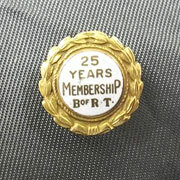 Samuel's Brotherhood of Railroad Trainmen Union Membership Pin for 25 years of membership. 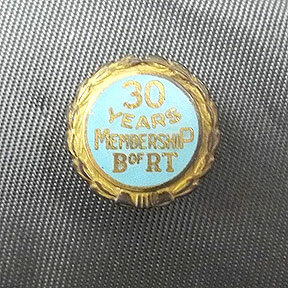 Samuel's Brotherhood of Railroad Trainmen Union Membership Pin for 30 years of membership. Samuel's Brotherhood of Railroad Trainmen Union Membership Pin for 35 years of membership. 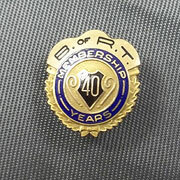 Samuel's Brotherhood of Railroad Trainmen Union Membership Pin for 40 years of membership. 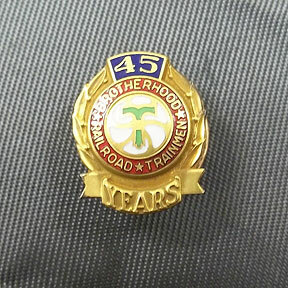 Samuel's Brotherhood of Railroad Trainmen Union Membership Pin for 45 years of membership. 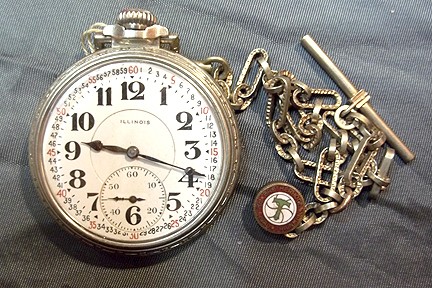 An Illinois Watch Co. Model 9A Lincoln from 1917, 21 Jewel, 5 Position Pocket Watch that belonged to Samuel. 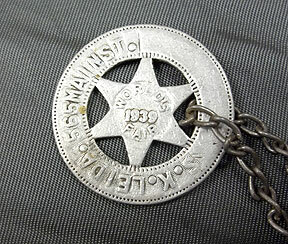 Another old key that Samuel would carry on his key ring. It might be for a switch lock. 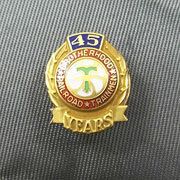 NYS&W Bag Agent Hat Badge. 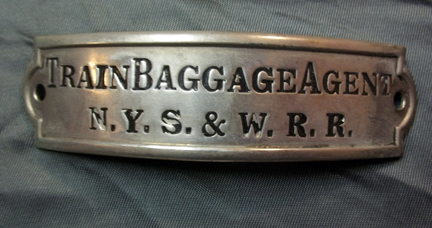 NYS&W Trainman Hat Badge. 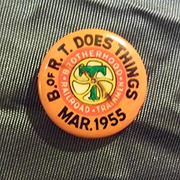 Samuel would change them according to the job he was doing when he worked the passenger trains. 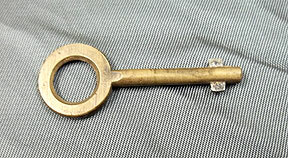 Samuel used this small key to unlock the coach seats so you could turn them. 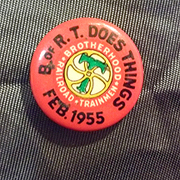 Brotherhood of Railroad Trainmen Union pin. 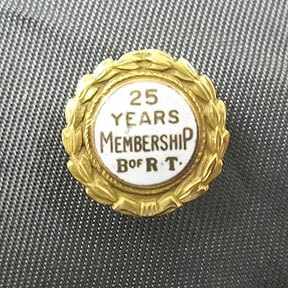 These were given out each month when you paid your union dues. 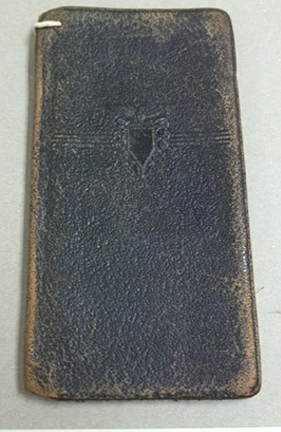 What's inside this old leather binder? 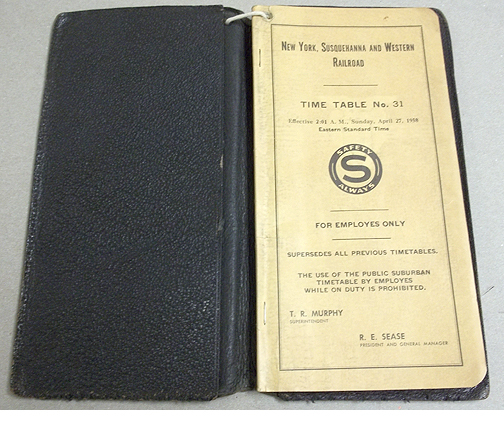 Samual's Timetable No 31, April 27, 1958 NYS&W Employee Timetable. Samuel would carry this with him while on the job. It even has his name (S K Leida) stamped on the inside back. 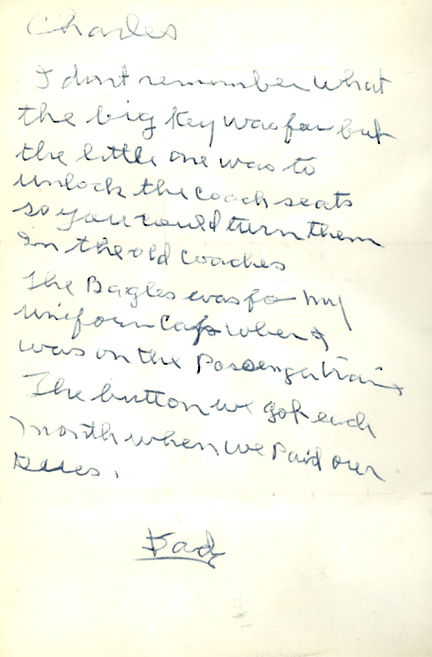 Note written, sometime in the 1950's by Samuel, to his son Charles (who was my great uncle) describing what some of the railroad items were that he passed down to him. Samuel made this aluminum token at the 1939 World Fair.